So 2015 is in the books, and I've finished updating the Ultra National Rankings for the year. Only one change to the top 50 in the final two weeks of racing: Ed Ettinghausen jumped into 36th on the men's side, following up his third place showing at the Desert Solstice 24-hour with a win at the Across the Years 6 Day only a week later. Unbelievable stuff. I've already started working on the rankings for 2016, with a few minor tweaks as I outlined earlier. Some exciting news: I'm working with the good folks at Ultrarunning magazine to try to bring these rankings to a wider audience. 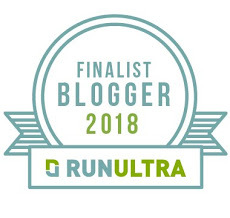 In the coming weeks, we hope to have a dedicated page on the UR website for these rankings (which I think I'm going to rename the Gunksrunner Ultra Rankings, you know, building the brand and all).